If, to you, travelling means new experiences, finding hidden places and immersing yourself in culture, Italy is the perfect destination for you. Here we recommend 15 of the best locations for an all-Italian summer: an exciting and unforgettable journey through flavours, nature, and beauties to be discovered again and again. 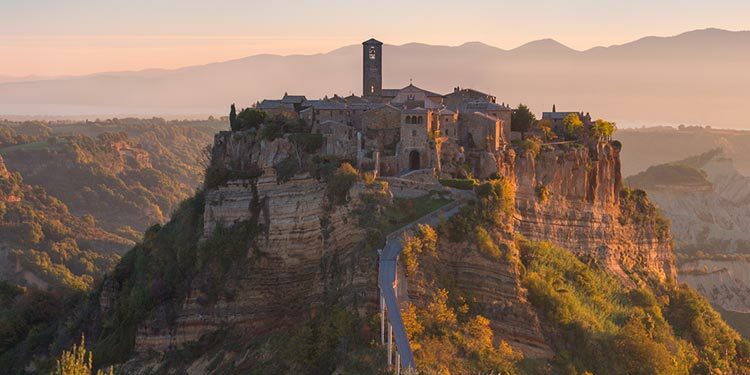 We’ve picked out 15 of the most beautiful destinations in Italy: 5 destinations for lovers of the countryside, from Civita di Bagnoregio in Lazio to the hills of Tuscany and Umbria; 5 breath-taking mountain landscapes offering incredible views from the road; and 5 coastal towns with idyllic beaches and crystal clear waters. It won’t be easy to decide where to go this summer, but once you’re enroute, you’ll be glad you chose to explore these hidden gems of Italy. 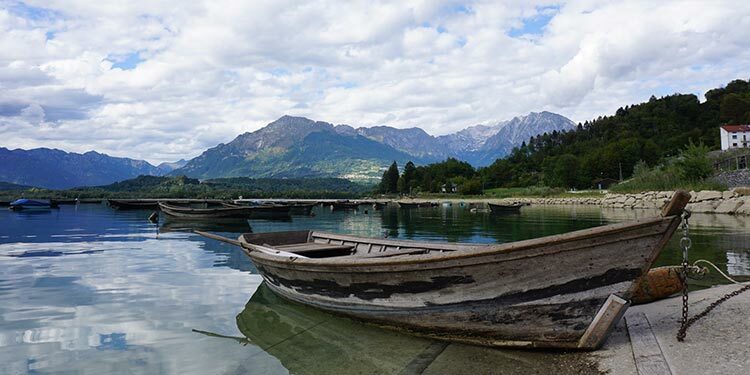 This town, bordering Austria and Switzerland, is famous for its incredible Lake Resia, a bright alpine lake, treasuring the history of the ancient village of Curon. 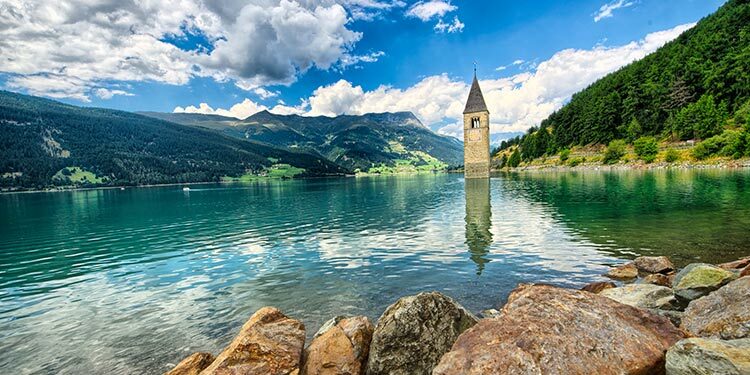 Upon arriving at this spectacular body of water, surrounded by high peaks, you will immediately notice an ancient bell tower rising from below the water. It’s the final part of the village that once stood where the lake is. In 1950, it was decided to merge and expand two pre-existing lakes creating a large dam to produce hydroelectric energy. The ancient settlement was demolished and rebuilt further away – all except for its fourteenth century bell tower. The most famous winter resort in the region has ample to offer even in the summer. Just a short distance from the slopes of Mount Cimone and completely immersed in the Frignano Park lies the town of Sestola. Playing host to many art and music events during the summer, it’s also ideal for lovers of sports and fun with the Cimone Adventure Park. 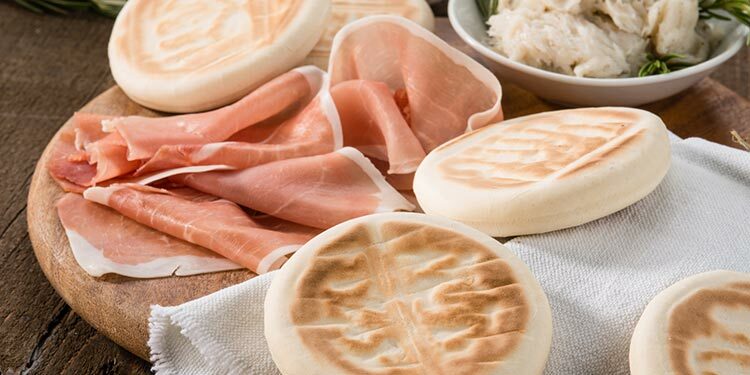 Plus, don’t even think about leaving without having tried the excellent cuisine of Emilia, starring: the fragrant crescentine, or tigelle if you prefer, stuffed with local cold cuts and cheeses, the tasty borlenghi, and chestnut-based recipes such as ciacci emiliani. Just a two hours ride from Milan, between Valle Camonica and Val di Scalve, and in the shadow of Monte Altissimo, stands the village of Borno. It is renowned for its winter skiing, but it is also a great summer destination, thanks to the many events taking place from June through September. Historical re-enactments fans will love the Palio di San Martino, celebrated in mid-July with stunningly crafted music and costumes. Car racing has a place in Borno, too, with the Malegno-Borno race, a time trial that has been going on since 1964, with teams and cars from Italy and abroad, such as Osella Corse. Aka the ‘Pearl of the Rosa’, after wonderful Mount Rosa, which stands above the city. The many waterways surrounding the town will leave you speechless. Go for a long ramble along the nature trails, or devote your time to physical and spiritual relaxation of the body and soul, by joining one of the many outdoor yoga classes regularly taking place. And if your adventurous spirit just cannot be tamed, join a hike up the stunning Belvedere Glacier - the only Alpine glacier still gorwing to date, in the heart of the Wildlife Oasis of Macugnaga. The Walser tradition, deriving from the settlement’s founding German population (12th Century) left a lasting cultural imprint, expressed in some traditional recipes such as the cannolo. Other typical products are honey, local cheeses, and meat from local farms. Winter hits hard here, with some of the coldest temperatures in Italy (down to a record-low of -35.4 C ° in 2005). But this is great news if the heat of summer in the city is too much for you. Boredom doesn’t belong here, with paragliding, kite surfing, wakeboarding, and horseback riding all on offer. Another unique feature to this area is high-level dining, with two Michelin Star restaurants within short reach. The first is Locanda San Lorenzo, run by Chef Renzo Dal Farra, serving high-quality dishes that combine the classic flavours of the past with an innovative touch. The restaurant’s delicious array ranges from Alpago lake trout, local veal, deer, venison, and the amazing crispy snails. The second restaurant worth a stop is Dolada, in Plois: the De Prà family will guide you in the discovery of the most genuine flavours of the territory, a gastronomic journey starting with polenta and tocio, then moving on to tortelli di lago and crispy egg with truffles, and finally ending with exquisite desserts that will feel like the perfect reward for climbing up the steep Mount Dolada. This village is not too far from the famous City of Flowers (aka Sanremo) and time here really seems to have stopped decades ago. Indeed, time really did stop in 1887, when the earthquake of Diano Marina hit the leaving the village uninhabited until the end of the 1950s. The rebirth of this village is closely related to the art world: from the Sixties on, an artistic community began to gather here, repopulating the hamlet and giving new life to old ruins. Even today a bohemian air blows along its narrow streets, art shops pop up at every corner, proudly showcasing creations by Italian and European artists. The perfect place for a pleasant stop is the town’s oldest eatery, the Osteria degli Artisti, serving locals and visitors for over 60 years. 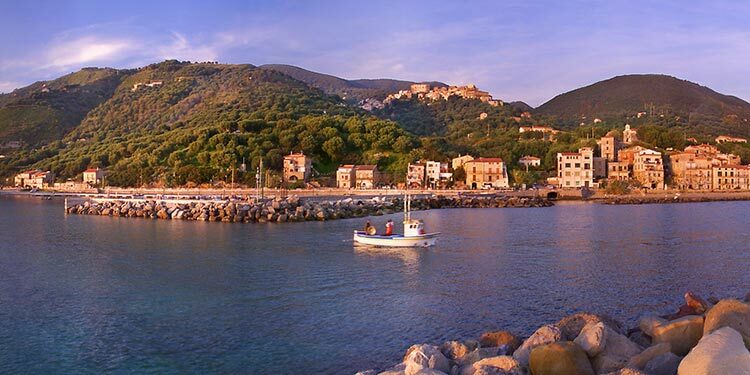 The town is nested beside a beautiful lagoon and from here you can look straight across to some of the most spectacular seaside resorts in Tuscany, such as the Argentario promontory and the Tuscan islands. The best views and times can be enjoyed while exploring the Maremma Natural Park, an oasis of original Mediterranean vegetation and fauna. Trekking lovers will delight in the Feniglia Nature Reserve, while holiday archeologists will revel in the ancient Roman city of Cosa. The Convent of the Passionists features a unique panorama, and it’s also worth stopping by for a gourmet break: the Ristoro La Sorgente has delicious mushroom and wild boar dishes. You’ll be speechless when you arrive. Civita is in a very peculiar position, literally hanging atop an ancient rock. It is precisely due to this particular position, and to several landslides that unfortunately hit in the past, that Civita got the reputation of a dying city. Yet, after walking the long pedestrian bridge - the only access into the village – you’ll get a completely different view, as this gem of Lazio is actually going through a time of revival. When you want to savour the exceptional cuisine of Lazio, Alma Civita restaurant offers the unique opportunity to sit in an ancient Etruscan cave. Treat yourselves to high quality courses including home-made umbricelli all'amatriciana, seasonal soups, and local cheeses, all matched with excellent wines from the house’s selection. This small village in the heart of Italy often remains outside the classic tourist routes, despite the fact that its beauty means it’s definitely worth stopping by. The village is about 600m above sea level, on the top of a hill within the Val di Chiana. The marks of the medieval era are clearly visible in every one of the town’s alleys and narrow streets. Instances of famous sites are 15th-century Torre di Montegabbione, characterised by a pyramid-shaped base, and Montegabbione Castle. Celebrate a visit to this village by tasting the renowned Umbrian products: wild boar meat – with its own festival in mid-July - precious white truffles, renowned Tuscan Chianina meat, and all the products of local butchers - themselves also celebrated with markets, workshops, and music during the Pig Festival. Both of these places are located along the ancient Roman Flaminia road, cutting through landscapes that are a joy for the eye and the soul. The most spectacular scenes are the Furlo Gorge and the Burano torrent - best discovered during a hike or horse ride - as well as several ancient sites and historical monuments, including the Mallio Bridge, the Church of San Francesco and the Rocca - Torrione di Cagli. Acqualagna is also called the capital of truffles. This luxury is celebrated throughout a number of international exhibitions, including one at the end of July dedicated specifically to black summer truffle. Nestled in the heart of the Cilento coast and National Park, close to renowned Palinuro, this is the ideal place if you wish to indulge in beauty and relaxation across countless breath-taking shores and a Blue Flag-awarded crystal-clear sea. 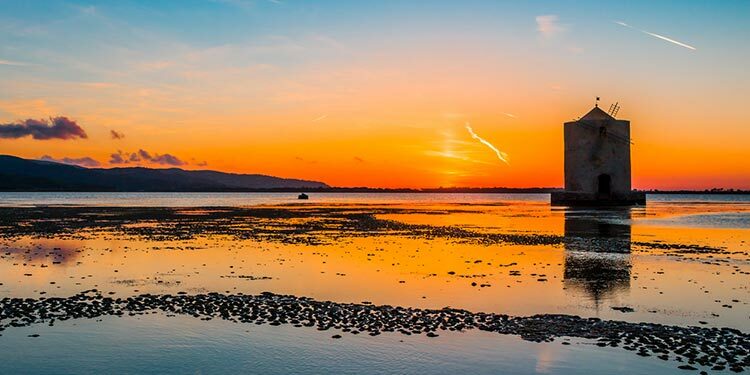 The town’s fishing soul is alive and kicking – every day from March to August, fishing boats are out to sea at dusk. Coming back with the tastiest treasures, such as Menaica anchovies. Make sure you’re around for the summer fish fest too. At this tiny Calabrian hamlet the sea has a myriad of different nuances of blue and green like you’ve never seen before. Jotting lines of cliffs protect the entire bay, making it a natural harbour of quiet and beauty. This is the Riviera dei Cedri, dotted by cedar trees which paint the entire region in a stunning shade of green. You can top all this beauty with, of course, the culinary specialties of Calabria: stuffed chilli peppers (try them with fresh tuna,) spicy ‘nduja, all sorts of cold cuts like soppressata and capocollo, and certified local caciocavallo cheese. Here comes another gem of Sardinia’s unbelievable beaches. Actually, Baunei is located on the mountains right next to the shoreline, overlooking places like Cala Goloritzè and its sculptural rocks and turquoise water, Cala Biriala with its tiniest sand stones, and Cala Mariolu, surrounded by a 500m high cliff. If you’re feeling adventurous, we recommend going for a trip to Pedra Longa, a 120m tall rocky shard. Rumour has it that a thousand years ago the Princess of Navarra found refuge in this bay – an event celebrated to date, every year on August 15th. You can tell Liguria from any other place with just one glance. The tiny houses overlooking the sea, perched on the cliffs, are coloured in a fascinating variety of nuances, and give Varigotti its unique allure. Enjoy your well-deserved summer break dipping in the Ligurian sea and or sunbathing on the Bay of Saraceni. There are several spots worth visiting in the village as well, such as the relics of Gavone Castle with its Diamonds Towers, and San Paragorio church. And here there are some not-to-be-missed food and wine treasures: the characteristic chinotto, a bitter drink extracted from locally-grown citrus, honey and fine wines, including Vermentino D.O.C, Granaccia I.G.T and Lumassina I.G.T. 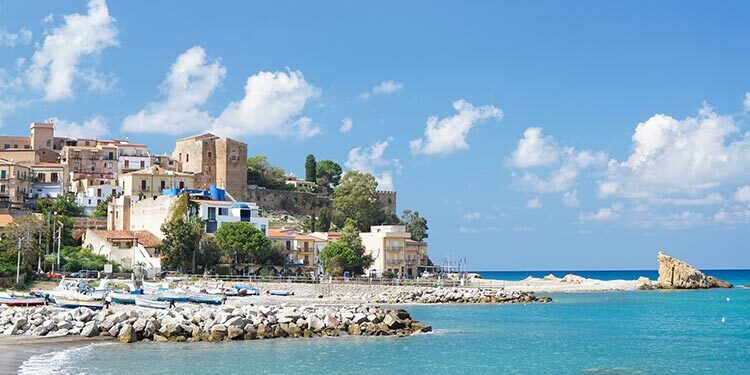 Not only does this town have beautiful beaches, but Castel di Tusa is also home to the remnants of the ancient Greek city of Halaesa, dating back to 403 BC. The coastal city used to be a trading hub receiving goods from all corners of the then-known ancient world. Among the different beaches, we’ve picked two you can’t miss: Lampare, with its long line of rocks, and Marina, a paradise made of the finest sand. It goes unsaid, that the delicacies of this area come straight from the sea. We also recommend you check out the many gastronomic fests that take place in the summer, such as the Sagra degli Antichi Sapori. Whatever your next destination is - mountains, seaside or countryside - get there and enjoy the ride with a Hertz car! Click here to reserve your vehicle now.